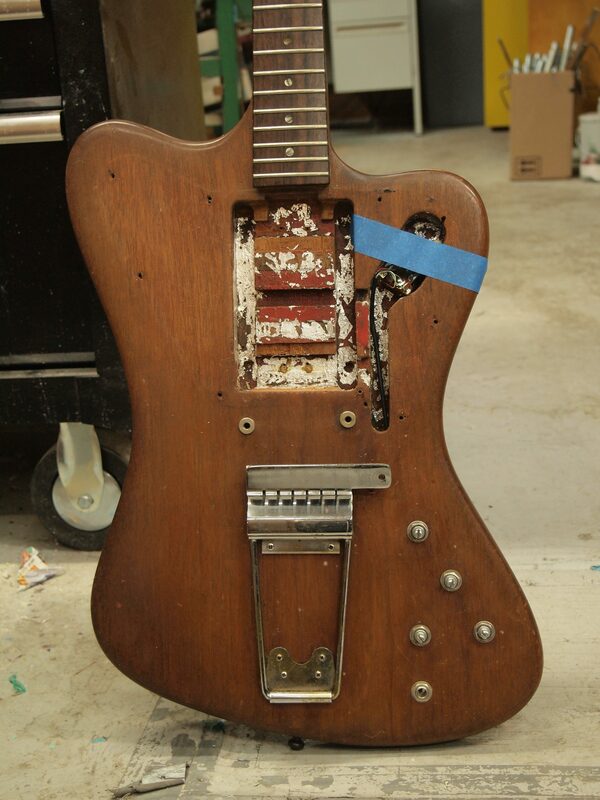 This guitar came in for a refinish. 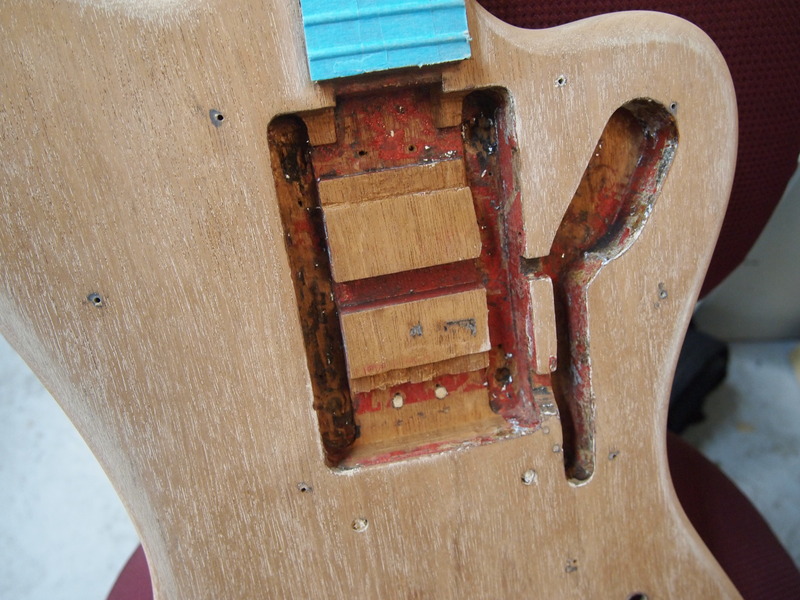 These first photos are after we started removing the hardware, cleaning out the old foil and giving it its first sanding. 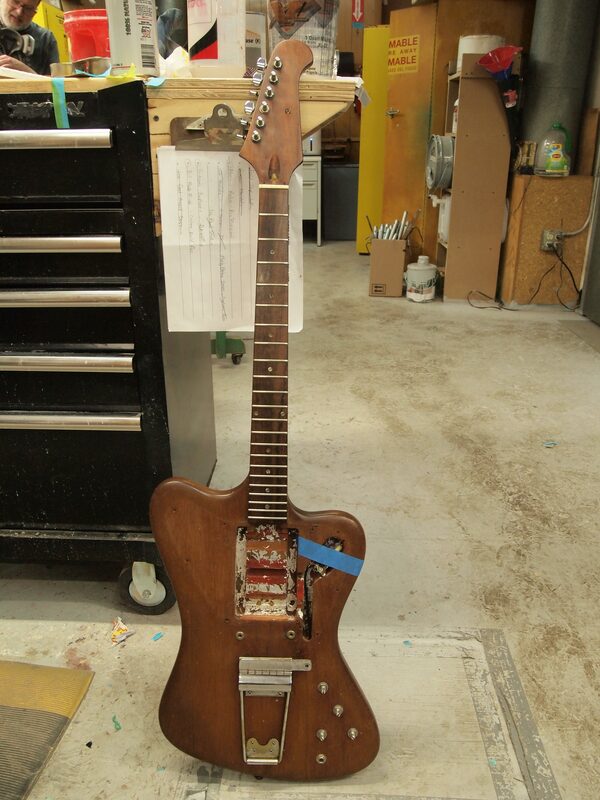 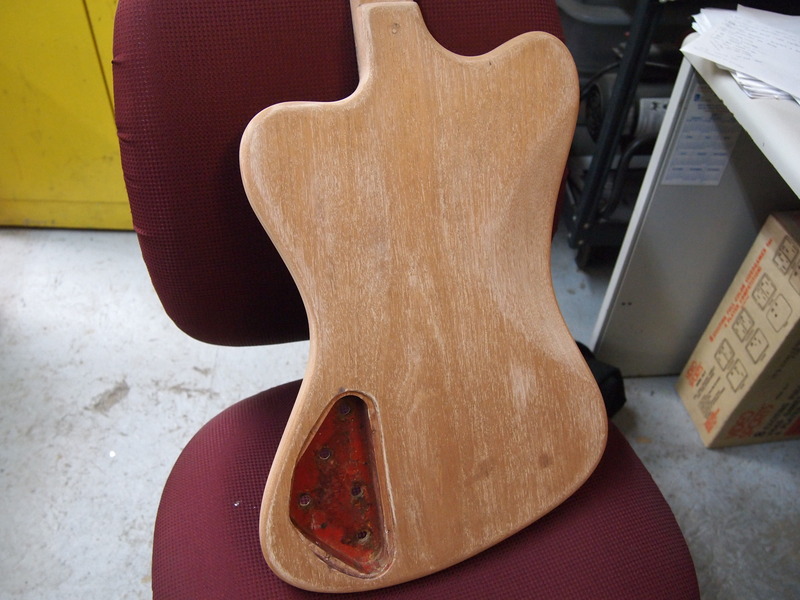 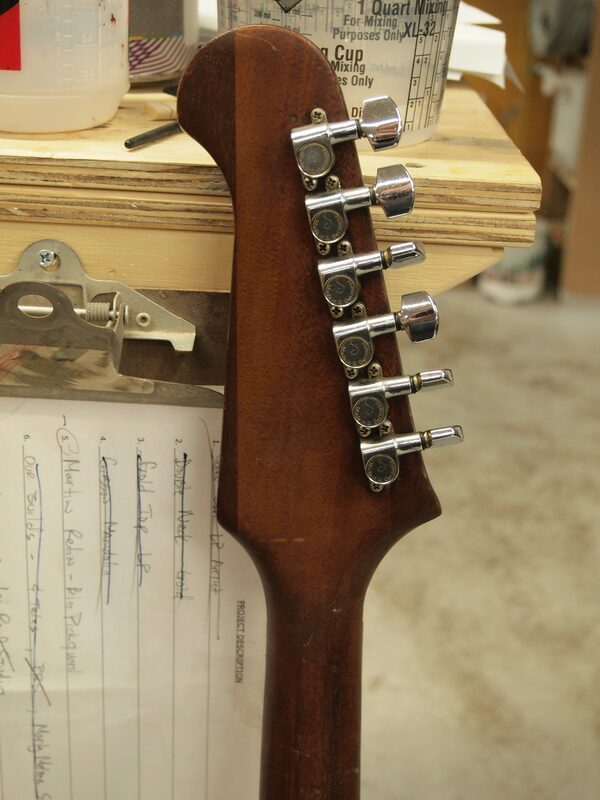 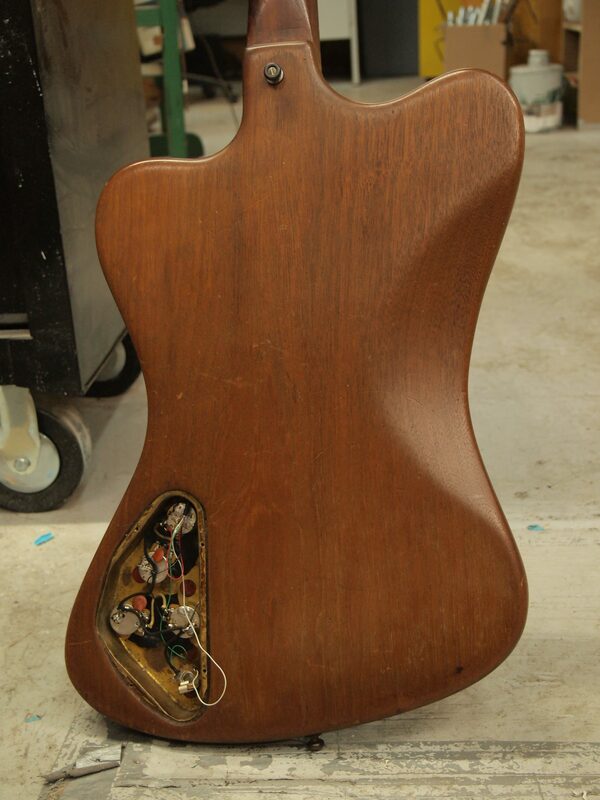 The photos below are of the guitar when it first came in to the shop, prior to removing the hardware.